Being thirteen has pitfalls of its own, but growing up has never been this hard.Jenna had promised her mother that if the worst happened during her dad's weekend, they would meet at Red Hill Ranch. 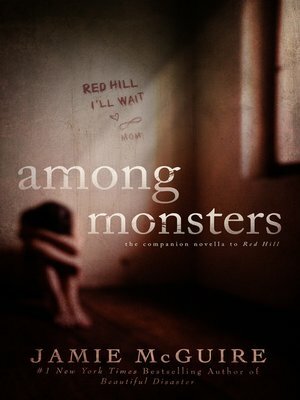 When she finds seven words spray-painted on her dad's wall the morning after a deadly outbreak, she makes a promise to herself: to get to the ranch with her seven-year-old sister, Halle, and to get them both there alive.Among Monsters is the companion novella to Red Hill, both exploring from different perspectives what many broken families experience every other weekend: What if your children aren't with you when the world ends? What would you do to get to them? What would they go through to get to you?For Jenna, seeing her mother again is worth everything. Determined to keep her promise, she is faced with experiences and decisions that force her to leave her childhood behind.